Hi. 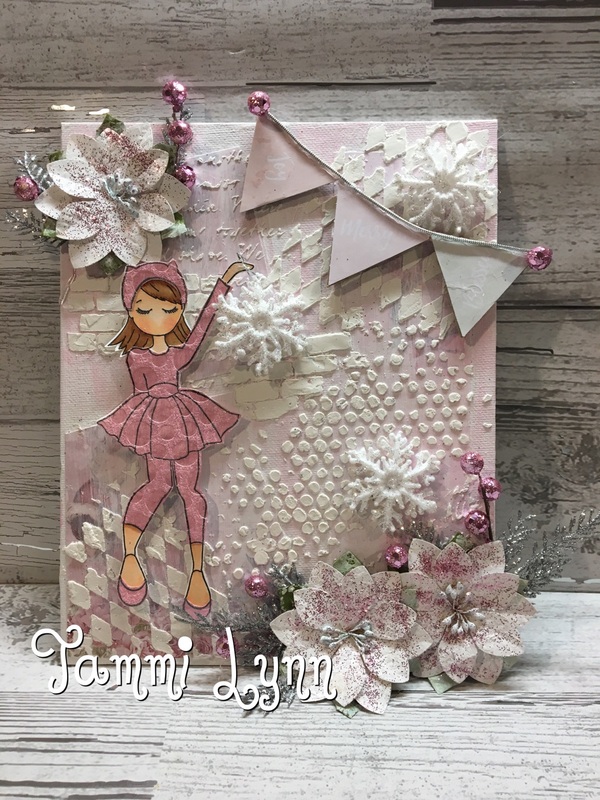 I am back today to share a mix media canvas using my Julie Nutting Doll "Joy". Love, love, love this stamp.